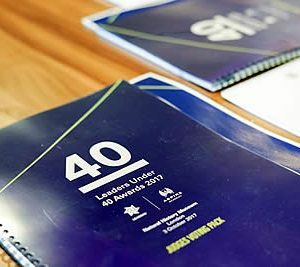 Lausanne (SUI), 26 July 2017 – FEI Secretary General Sabrina Ibáñez was part of an international judging panel put together by Leaders and Aspire Academy to select the Leaders under 40 Awards Class of 2017. Brainchild of Leaders and Aspire Academy, this annual celebration of young leadership, now in its third edition, aims to uncover the best global talent in sport business. The campaign involves an extensive worldwide search to identify those unique individuals who are recognised leaders and the driving force in their field of expertise. A total of 585 nominations were received over the nine-month campaign, with 42 candidates selected to join the Class of 2017. 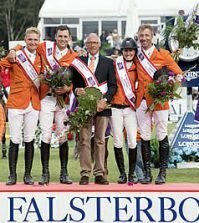 The FEI Secretary General was one of 87 international judges invited onto the panel, made up of CEOs and top level executives across all sports, including New Zealand All Blacks CEO Steve Tew; Tottenham Hotspur FC Executive Director Donna-Maria Cullen; Eredivisie CEO Alex Tielbeke; and Nick Bitel, CEO of the London Marathon. The judging panel’s combined knowledge, expertise and experience gave them special insight into the challenges and demands of sports business success. The final shortlist of candidates across the six categories, which include Leadership, Entrepreneurship, Digital, Marketing & Communications, Sales, and Legal & Governance, will come together to form the talented Class of 2017 and will be acknowledged for their outstanding achievements at a special awards ceremony later this year. “I was thrilled to be on the judging panel to review the Legal and Governance candidates for these prestigious awards,” Sabrina Ibáñez said. “With just under 600 nominations received from all around the globe for all categories, it has been an extremely difficult process to narrow down the shortlist for the Class of 2017. The prestigious awards ceremony celebrating the elite selected for the Class of 2017 will take place during Leaders Week at London’s iconic Natural History Museum on 3 October 2017.